The world’s first shop for homeless people CRACK+CIDER has kept many rough sleepers warm in London since its launch a year ago. “Living in London, we were walking past many homeless people every single day without doing anything and we felt really bad about it. But it wasn’t until we came up with this idea that we started researching and found out the scary statistics about homelessness”. “The figure of 7,000 was from a reliable source but were advised from people within organisations such as The Big Issue that the numbers were likely to be much higher. Due to the amount of hidden homeless who walk the street among us every day, it is an incredibly difficult amount to obtain accurately." “What we do know is that the number of homeless people has risen by a third in the past year and it continues to grow at an alarming rate”. “Overall, the public has donated an incredible £50,000 which means we were able to get nearly 6,000 essential items out on the streets of London in the coldest winter in 4 years”. 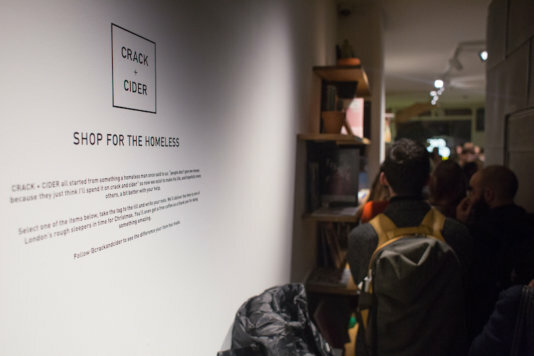 Crack+Cider is a big opportunity to develop a new approach to charitable giving, but it is also a provocative name. What does it say about its own success? “We have received overwhelmingly good reactions from the public who understand we are trying to break down a stereotype. Of course, there are some people who simply see the shocking words; however, we aren’t trying to be shocking to gain profits, which the majority is aware of. 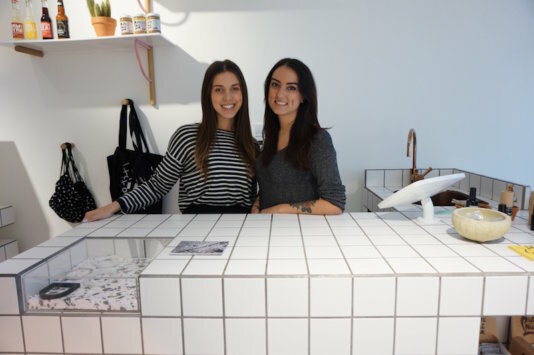 We can only be doing this to try and get people to think differently about the person they walk past on the street every day”, said Scarlett Montanaro. This project really seems to provide an answer to something that people question every single day, as homelessness is never too far away from us in London. “The way our project works is so straightforward that people can understand where the money goes and the impact each donation is going to have. By giving them a tangible benefit of their goodwill, we enable people to donate even more”, said Ms Cramer. Goodwill shoppers who can buy, among other things, a set with a hat, socks and gloves for £7 or a winter jacket for £25, have warmly welcomed the new addition: a handy Canine Care pack containing all the essentials for a homeless person’s best friend, including a hooded & padded coat. As Ms Montanaro pointed out: “It was actually something that was requested by the public so we decided to make it a reality with the help of Lily’s Kitchen. Along with 99% of the British population I am a total dog lover, so the idea of being able to extend our offering was really fulfilling. Dogs provide warmth, friendship and security to those sleeping on our streets each night, so it is important they are warm and fed too”. 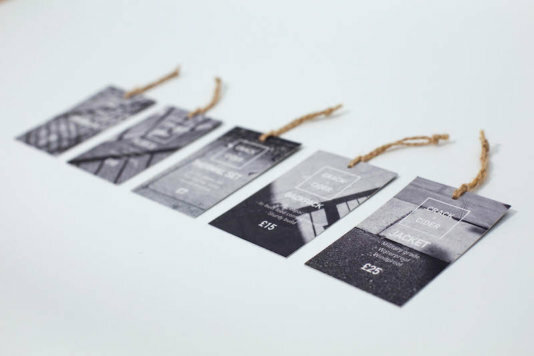 As for the team's next step, they proudly talked about their search for a new retail space in London for the cold season ahead, while working on the expansion of their product range. The biggest revelation is another one, though: they are set to launch in San Francisco this winter.